Unlocked mobile devices represent a large sector of the communication industry, and unlocked phones are perhaps one of the most effective devices for expanding the reach of communication for many people… Unlocked phones have been the topic of many debates in the U.S. Congress, who voted to permanently allow the unlocking of cell phones. People tend to think of unlocked phones as something that people want for the sole purpose of escaping contracts or obligations to their carrier. However, unlocked phones are actually used for several other purposes. 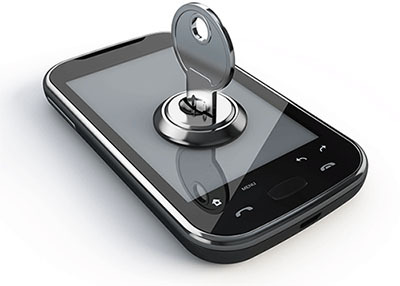 Unlocked phones have been used as a vital part of Women’s Protective Services; they enable a larger geographic area to use a given phone; and they improve the global economy. Unlocked mobile devices, particularly cell phones, are used to help women leave abusive, dangerous situations. An unlocked mobile device gives women a tool to use in the event of an emergency. For example, an abusive spouse may be stalking a woman, and she can use the phone to notify emergency responders of anything that would make her unsure about her setting, such as leaving work with the spouse’s car nearby. Although cell phone carriers tend to be located and provide service along areas with a high population density, millions of people live outside the reach of the major cell phone service providers. Unlocked phones give these people access to communication, which, in the case of illness, injury, or simply the passage of knowledge; can be a life-saving tool. An unlocked phone can be used on international carriers where the phone’s original carrier does not offer service, or it may be used to reduce the charges of using the phone abroad. Recycled phones are often unlocked and sent to areas of the world in need of modern communication. Furthermore, unlocked phones impact the global economy. If a carrier had the right to nullify and make all phone unlocks illegal, it would devastate the world economy. Unlocked phones give people the option to switch carriers for a variety of reasons, including leaving carriers who charge exuberant fees, have a lack of geographic service, or for the need to move overseas. Not only do unlocked phones help the world market, but they actually increase the competitive efforts between providers, which helps ensure that the cost of using mobile devices stays minimal. If the competition did not exist, a dominant company would gain a monopoly and have unrestricted reasoning to increase prices beyond what most people could afford. This would spiral into the return to the age of the landline phones, and the production and use of cell phones would come to grinding halt. The advancement of mobile technology has united the people of the world in ways never thought possible. Most cell phones have an initial lock placed on them by a carrier, but the need for effective two-factor communication between people around the world has contributed to the widespread practice of unlocking mobile devices. If the U.S. Government condones the process of unlocking mobile devices for the above mentioned reasons, what reason do you have for not ensuring your phone has access to communication on a global scale?